iKON · MONSTA X · Stray Kids · The Boyz, ‘TMA’ 3rd Line up is released!! [The Fact] Boy groups that represent K-pop have decided to attend 'THE FACT MUSIC AWARDS' (TMA). The committee of the "The Fact Music Awards" unveiled their third line up of artists who will appear at the awards ceremony on official website 26. According to 3rd Line up that was released, group iKON, MONSTA X, Stray Kids, THE BOYZ have decided to appear. 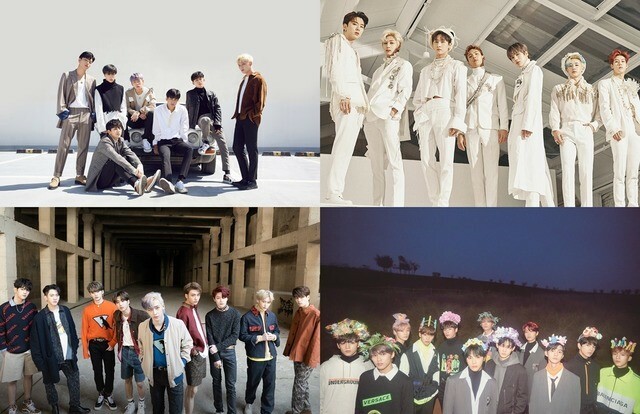 iKON received national love for her hit song "Love Scenario," Monsta X is also loved overseas for his strong performance and rough masculinity, Stray Kids swept the Rookie of the Year award for their free-spirited charm differentiated from idol groups, and The Boyz recently established themselves as a "great trend," can meet at one spot through the "The Fact Music Awards." With earlier news of BTS, TWICE, Red Velvet and Mamamoo's attendance and appearance, the "The Fact Music Awards," which has drawn attention from K-pop fans, heralds a richer and more spectacular award ceremony with the addition of iKON, Monsta X, Stray Kids and The Boys. The "The Fact Music Awards," will be held on April 24 at Namdong Gymnasium in Incheon, is an award ceremony that expanded the online year-end Awards of "FAN N STAR" offline. It is the only festival format in Korea to be decorated by stars and fans. The "The Fact Music Awards" will run free online voting for three weeks from April 1 to 19.